Michaela said: "The southwest of Berlin may seem a little removed from the hustle and bustle, but very conveniently located on the ground floor of an international hostel Residenz 2000." Berlin is quite a literary city and very very friendly towards the English speaking reader. With many bookstores in the very city center, there certainly a lack of books in the wider part of the city - this is where English Books steps in. This bookstore has indeed done some “intersection hopping” at the Unter den Eichen/ Drakestrasse/ Habelschwerdter Allee crossroads in the past 35 years. Originally under the name of Buchexpress and located next door to the English Institute of the Free University, it was founded by two students in 1977, when obtaining books meant driving your station wagon across to the UK and back again, this time jam-packed with books to sell. It thrived at a time when studying literature and languages was popular and reading lists were long, when you still needed printed dictionaries, when the allied forces ordered books for libraries, and when public and scientific libraries still had a decent budget. Importing new books from the UK as well as the US was a highly specialized business, and the original founder and owner Peter Michael Schuer has been nothing short of an expert. He has great knowledge of literature, and knows exactly which language guides, grammar books and dictionaries are of good quality, and he has a great knack for finding suitable educational titles as well as bargains. About two thirds of the shop floor are new books, and one third, the “used book chamber”, are second-hand. English Books in Berlin stocks both fiction and non-fiction books, children’s books and young adults’ books, learning and teaching English, literary and linguistic theory and history. They also provide books and educational material for a quite large English-speaking community in Berlin’s southwest. Recently they have even started offering English language courses and book chats in the Book Chamber with university docent Terence Oldani. Plus, you can get coffee anywhere, but at our shop you can get a real cup of tea and a biscuit. English Books has to move several times during its long history. Currently, they are located at the bottom of a hostel, just three minutes walk from S1 S-Bahn, which will take you the the city center in 20 minutes. English Books also have a Facebook page, so make sure you check it out as well. 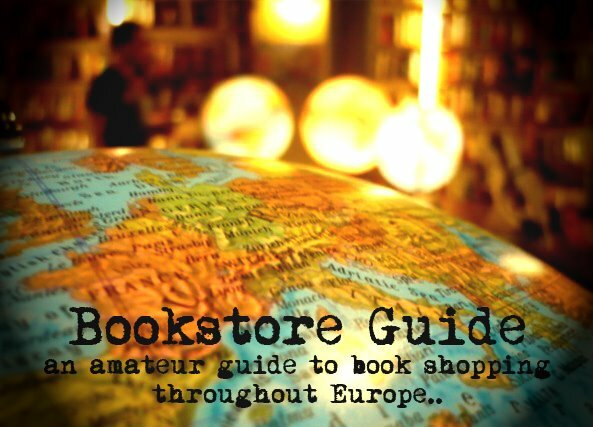 nice information about bookstore which located in Berlin, this is use full regarding all types of generation like professional.